Disneyland or Dink to his friends and Darcy his little sister. Dink is a 2009 (Disneyland) is a liver chestnut gelding by Diamond Hit out of Wildrose who is by Weltmeyer. 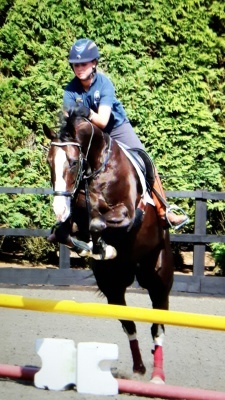 He was bred in Aberdeenshire and I bought him online unseen as a foal. He is competing at advanced medium and has been selected for the British Junior Prime Squad. He was a member of the Nations Cup team that won Silver in Saumur this year. Darcy (Furst Dance) is a 2013 bay mare by Furst Kiss out of Shakira who is by Don Renior. She was bred by Naomi Holland in Devon and we bought her when she was just minuets old. I rode her mother who was retired to breeding after a accident in the field. 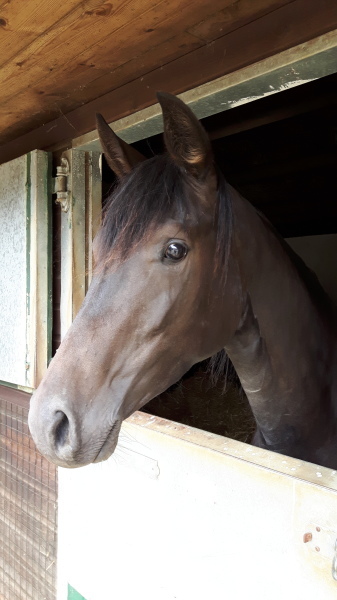 She was backed and started by Ellen Terry at Riverside Stables nr Malmesbury in Wiltshire and will be trained and competed by Abbie Newbury.